This announcement invites WCU members, registered as Welsh with FIDE, to let us know by 15 January whether they may be interested in taking part in this event (and in which section) by e-mailing Peter Bevan (internationaldirector@welshchessunion.uk) and Howard Williams (chairmanselectors@welshchessunion.uk). Players intending to form part of the team for the over-50 section which Mark Adams is organising need not respond directly to this request. This event will take place in Rhodes from 15 April 2019 (date of arrival) to 25 April (date of departure). More detailed information is available here. Briefly, as in recent years, the WSTC will be a nine-round Swiss with standard FIDE time limits and one round a day. Teams of four play in any one round but that team may be chosen from a squad of five. Teams may represent either a national federation or ‘any regional structure of a federation’ and there is no limit to the number of teams a federation may enter. 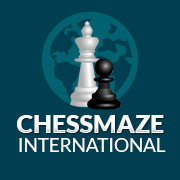 But all the players in a squad must be registered with FIDE as representing the Federation making the entry. There will be separate open events for teams of players all over 50 and all over 65 at the end of the calendar year. Details of accommodation costs and the transportation / registration charge are given in the website announcement. Players responding to this note who are over 65 (or will be by 31/12/19) and who are not members of Mark’s team (see above) should say whether they would be interested in taking part as members of a second over-50 team instead of an over-65 team. As in the past the WCU wish to give as many players as reasonably feasible a chance to participate in these events. Requests to enter Welsh club or regional sides, as well as teams representing the WCU itself, are welcomed. Players in club or regional sides must be WCU members but otherwise need not meet the WCU’s own eligibility rules on international representation. Welsh participants in these events in the past have found them enjoyable with many games against players of roughly the same standard as themselves. The over-65 teams have done particularly well. The WCU is unable to contribute to players’ costs of participating in these events beyond paying one entry fee (of E100 to FIDE). The equivalent event (usually with the same format as the World Seniors) is due to take place from 17 to 26 September in Croatia but no further details are currently available. The European event in recent years has been eclipsed by the World event and has attracted only small entries. But, if there is sufficient demand, the WCU is prepared to enter a team or teams in this event too. A website notice, seeking expressions of interest, will be posted once more is known.